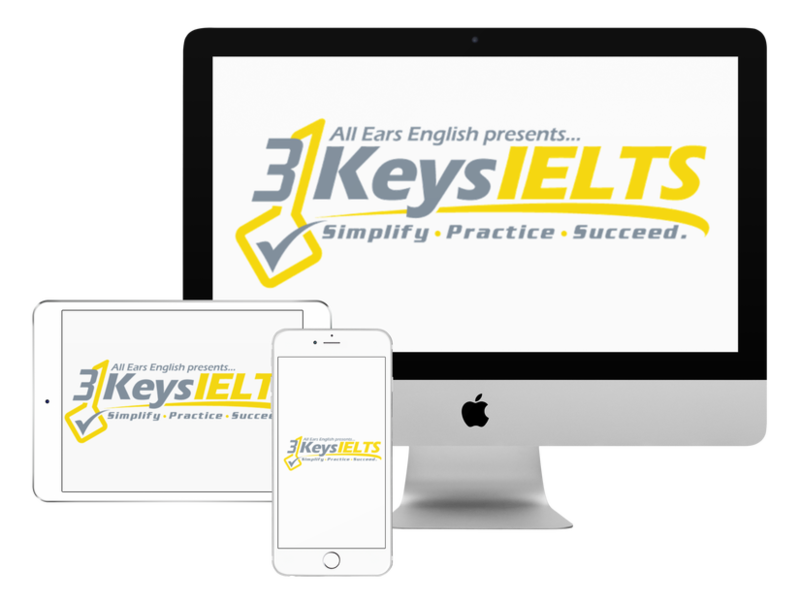 Today get a terrific template for Writing Task 2 on the IELTS Exam. You’ll hear about the biggest mistake you might make on this part of the test and what you should do instead. When examiners think about your score they start at a 6 before you say anything. It’s up to you to move them above a 6. You need to set yourself apart to get that 6. Part of doing this is having a culture of thinking. Aline is doing this. Go back to Episode 214 to find out how she is doing this by reading the newspaper every day. Today we’ll look at an email we got from a listener. We disagree with the advice of memorizing essays. There is no chance that you’ll get the same question. It’s a complete waste of time. Topics are recycled but specific questions are not recycled. It makes NO sense to memorize an essay. What happens if an examiner sees a memorized response? You’ll score will be very low. NEVER memorize an entire essay. Can you memorize linking words and structure? YES! You MUST do this. In our course we have the four paragraph essay template. It has the linking words you need to hit the 7 or higher for cohesion and coherence. This makes your study plan much easier. Let’s make sure this is clear: We are not talking about memorizing an essay. We are talking about memorizing a structure and some linking words and transition phrases. You need to trust a strategy like ours if you want to see success.